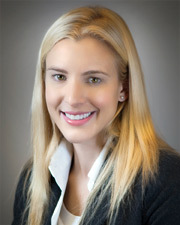 Dr. Mitchell is a fellowship trained in neuro-ophthalmologist. She completed Medical school and ophthalmology residency at the University of Minnesota MPLS and went on to complete a fellowship in neuro-ophthalmology at Weill Cornell Medical College. -Vision loss, double vision, and other symptoms of the visual system in multiple sclerosis. - Double vision, proptosis and visual loss in Graves disease. - Transient visual loss and decreased vision in pseudotumor cerebri. She sees clinic patients at the Manhattan Eye Ear and Throat Hospital and is affiliated with Lenox Hill Hospital. "Excellent care. I have felt confident that I am heard and being given thorough and wise attention to my individual concerns. " "I always enjoy seeing Dr. Mitchell." "I was very concerned about my problem - I left very optimistic about my future -"
"Excellent Doctor. Very competent. Thorough. Caring and kind. She helped me through this illnesss from beginning to end. Her technician Annie was excellent as well. I would highly recommend both." "Interactive, very knowledgeable about my medical condition." "Superb! Provided me with a critical diagnosis. Impressed me and my other doctors!" "Exam was thorough, but dr. spent more time writing notes & was reticent to discuss condition - gave only very brief answers to questions. I believe she is a good doctor, nonetheless." "I was completely satisfied. It was very, very good to me." "Talk too fast to understand." "She is an excellent physician & specialist." "Provider was lovely - Very kind & friendly & put me at ease. (This was a first time visit.) Also, very competent & seemed to understand everything I was saying." "Dr. Mitchel was very friendly and caring. She seemed very knowledgeable." "Very impressed with Dr. Mitchell. Will recommend her. Excellent." "Dr. Jamie Mitchell was proficient, professional, kind & caring. She answered all my questions and gave me good advice." "Dr. Mitchell was excellent & I've already recommended her." "She was efficient, friendly & courteous." "Overall a very good experience."